Syria could easily have been controlled by terrorists if not for Russia’s military intervention, French MP Thierry Mariani has said during a tour of Aleppo. Mariani said what they saw contradicts what is being peddled by Western media, and pledged to convey the real picture to the French people and authorities, SANA and TASS news agencies reported. Mariani was in the area as part of a French parliamentarian visit. 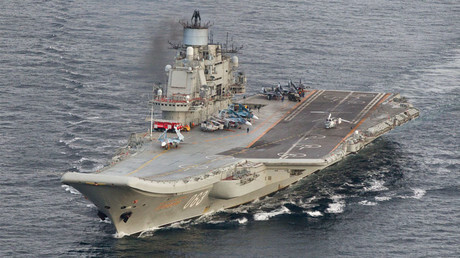 “If the Russian army wasn’t here for a few months, Syria would have had a chance of falling into the hands of terrorists,” Mariani said. “Fortunately, Russians came here, and this changed the [direction] of the war,” he added. “The war hasn’t finished, but I think it’s important that the Russians stay here until the end of the war,” the French MP concluded, calling the liberation of Aleppo a game changer in the fight with terrorism in the world. The French delegation were on a two-day fact finding mission to Aleppo, and visited districts destroyed by terrorists. 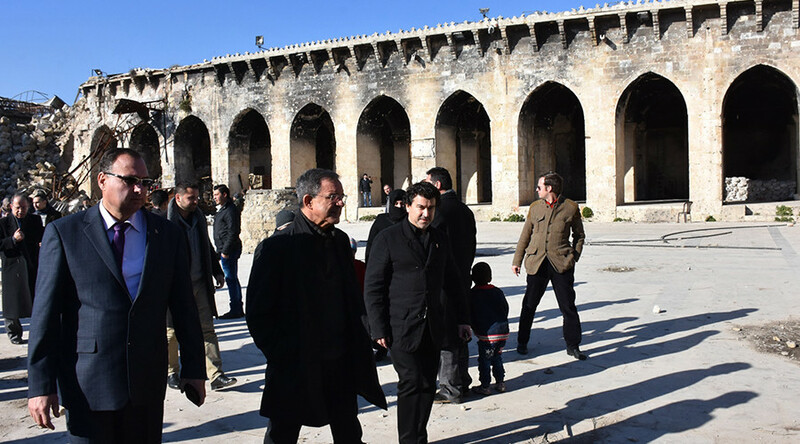 The MP’s also visited the 13th-century Citadel of Aleppo, the Umayyad Mosque, and other ancient churches, SANA news agency reported. The governor of Aleppo province, Hussein Diab, told the French parliamentarians that the authorities are planning to “restore everything that was destroyed by the hands of terrorists”, as cited by TASS news agency. On Saturday, the Syrian government approved the stage-by-stage reconstruction program of Aleppo, coinciding with an announcement by the Russian Center for Reconciliation that Moscow had delivered over 3.5 tons of humanitarian aid to the shattered city. Apart from the industrial complex restorations and infrastructure rehabilitation, 50 schools are set to be built in the eastern part of the city. At the end of December, the Syrian Army declared it had regained control over the eastern part of the city which has been captured by rebel fighters and terrorists. The final operation to liberate Aleppo was launched in mid-December by Syrian government forces, with thousands of people evacuated from the eastern part of the city.